The word “detox” has been spread thin and thick. Detox is short for detoxification. When someone goes in for a detox, it means they are under withdrawal from substances they were addicted to. It leads to some extreme symptoms, like delirium and vomiting, until the substances are flushed out of their system. Today, the word detox has a trendy ring to it. You “go on a detox”. It can be a detox diet to lose a lot of weight at a short time. It could be a detox to unburden your liver and have your skin glow. You could also go on a detox diet to eliminate toxins from your body. Depending on the specific detox diet, you follow a certain prescribed diet. For instance, if you are on the Master Cleanse, you drink water, a lemonade and maple syrup concoction with cayenne peppers, salt water and a laxative for ten days. That’s right, you eat no solid food whatsoever. And then, according to the promises of the said detox, your body is free of unwanted toxins and pollutants. Your system has been rebooted, and you can now start over. Sounds like a plan? But think. Is ten days, or three days, or twenty-one days all it takes to flush your body of harmful toxins? Is it really that simple? As much as detoxes are hailed by celebrities, most of the cleanses, even the “famous” ones, are not backed by science. If you are healthy and hearty, a few days-long detox may not do much harm, but it is rarely fruitful. 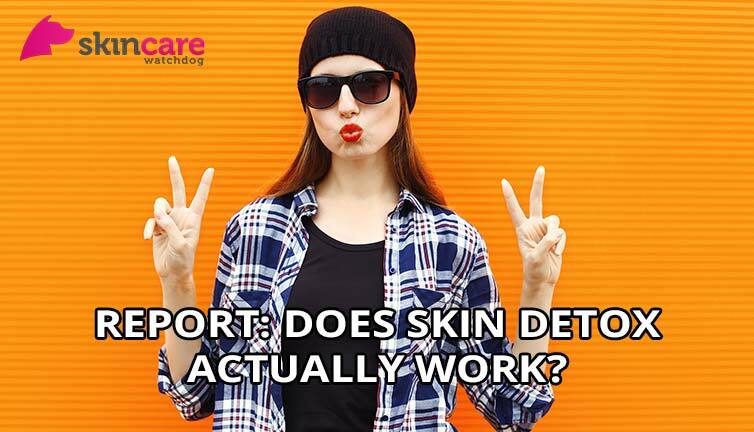 Do Skin Detoxes Actually Work? A cleanse consisting solely of vegetable soups and smoothies can leave you feeling light-headed. A juice fast can affect the electrolytes in your body: as your body is not used to sustaining itself on so little. A fat-free diet can deny your body of fat-soluble vitamins A, D, E and K. Supplementing these with vitamin tablets is not the best way to spend your money. An acne detox misinterprets the purpose and can cause skin inflammation, and does not help your skin and body health at all. A cleanse to lose weight only helps you lose “water weight”, and can cause you to ultimately become heavier. If you have diabetes, if you are pregnant, or if you have blood pressure, detoxes can be infinitely more harmful. It affects your electrolytes, blood sugar levels and can lead to a fainting spell or coma. The secret to detoxification, to glowing skin and a “clean” system, has nothing to do with purging your body of one nutrient or another. The solution to an optimally functioning, and healthy body is to rely on your body’s natural mechanisms. You do not need an outside regime or a $300+ master-manual to detoxify your system. Your skin acts as a natural barrier to harmful substances. Your intestine keeps parasites away, and your liver is equipped to handle unwanted toxins. Unless your doctor tells you your liver is functioning less than optimally, and that you need a special diet to make it less sluggish, there is no need to “unburden” or detoxify it. What does help is when you cut down on overly processed food, alcohol and unhealthy fats, and replace it with a balanced diet of fruits, vegetables, whole grains, lean proteins and healthy fats. Combine this with drinking plenty of water and getting enough sleep for 365 days, and the months that come after and you have got a real plan. Ease your “overworked” liver by supplementing your diet with herbs such as garlic bulb and milk thistle seed; this works better than ridding your system of nutrients it needs. You might just wake up one day, in the middle of this often-harped-about-but-underrated-routine (called clean-eating), with your skin a touch brighter, with your eyes more alert, sporting a smile a ton lighter. Skincare detoxes, whether a colon cleanse, a juice diet or a fat-free regime, are at their best, harmless but unnecessary. At their worst, they can be dangerous, causing dizziness or creating a deficit in nutrients or electrolytes. If you are healthy, in lifestyle and in diet, your body is doing all the detoxification it needs done on its own.